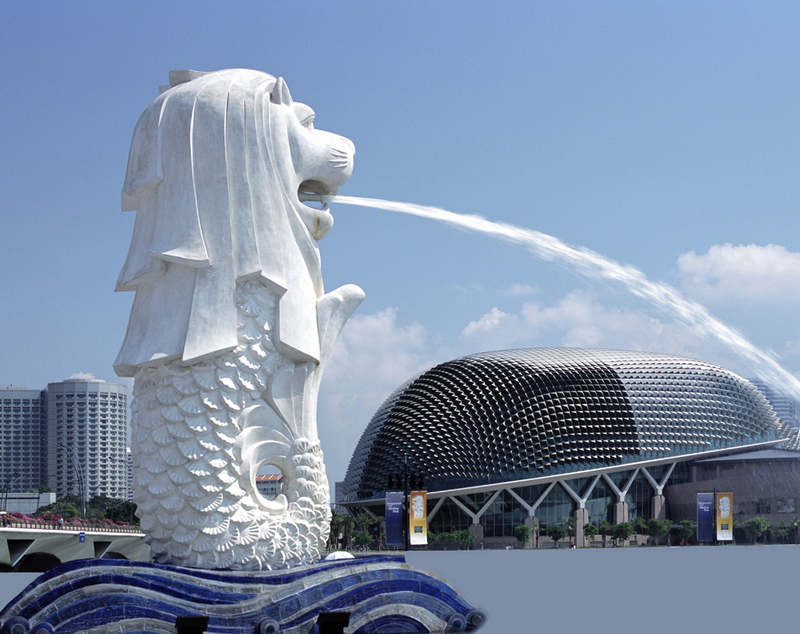 The Merlion (also known locally as Sing-Laut) is a mythical creature that has a head of a lion and a body of a fish. It is most commonly used as mascot, a symbol and a national embodiment of Singapore. Its name comes from the term “mer” which means the “sea” and the word “lion”. The creature’s fish body signifies the country’s beginning as a fishing village and was then called Temasek which means “sea town” in Javanese. 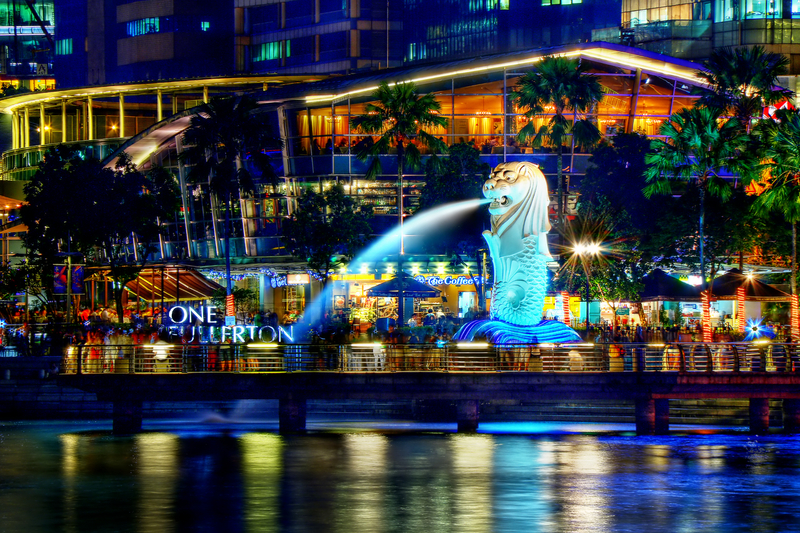 The lion head signifies the countries original name which is Singapura which means “kota singa” or “lion city”. The symbol was specifically designed by a member of the country’s Souvenir Committee and curator of the Van Kleef Aquarium. It was precisely made as a logo of the Singapore Tourism Board or STB and has been in use since March 26, 1964 up to 1997. It has been STB’s trademark symbol since July 20, 1966. Even though the STB changed thei r logo in 1977, the STB Act still continues to protect the Merlion insignia. Conssent must first be received from the STB before the symbol can be used. The Merlion can be seen in a number of souvenirs and gift items. The merlion is mythological creature that has a head of a lion and the body of a fish. It occurs in a lot of varying artistic cultures and traditions. Creatures that have similar characteristics can be found on Etruscan coins of the Hellenistic period and on Indian Murals at Mathura and AJANTA. Merlions or “Heraldic Sea Lions” are also an established component of Western symbolism and have been used on the coat of arms of different cities around the world.